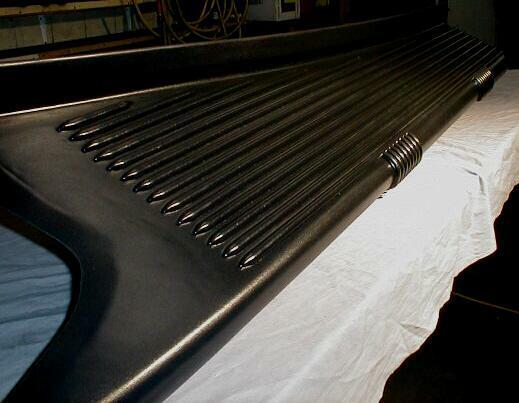 We reproduce and / or repair all vintage (antique) car and truck rubber running board mats. 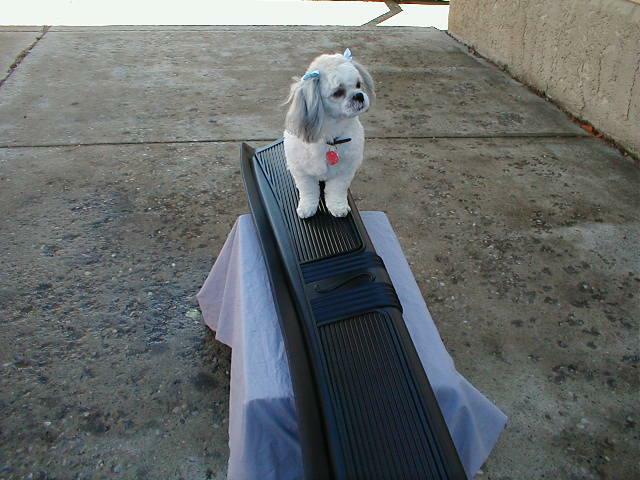 On this page you will find pictures of some of the many rubber runningboard mats (covers) that we have custom built. These include 1926 Chevrolet, 1928 Chevrolet, 1938 Cadillac, 1940 De Soto, 1939 Dodge, 1940 La Salle Woodie, 1937 Chrysler, 1937 Packard 115C, 1934 Nash Ambassador, 1936 Dodge, 1936 Chevy, 1936 Olds, 1937 Fargo, 1935 Chrysler Air Flow, 1937 Cadillac 60 Series, 1903 Marr, 1937 La Salle, 1937-39 Pontiac, 1938 Senior Packard, 1940 Chrysler, 1940 Studebaker and 1941 Packard 110, 1936 Buick, 1928 La Salle, 1937 Graham, 1940 Oldsmobile, 31 Pontiac. Note: These pictures were taken at different times with different cameras and under various lighting conditions which has resulted in a variety of colors. 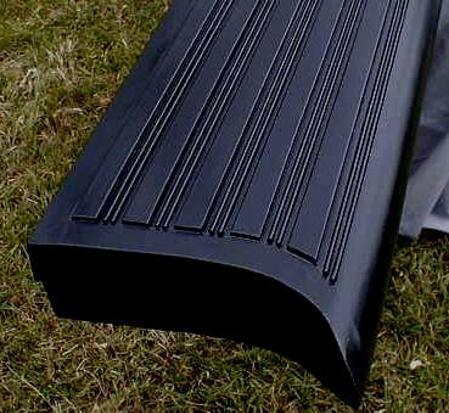 The mats are actually flat black. 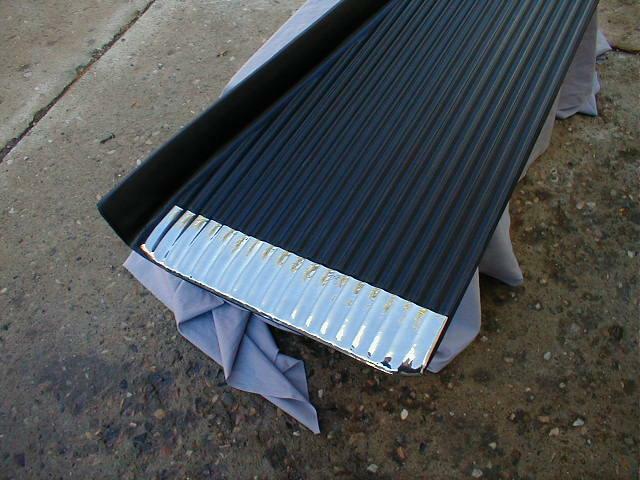 To see how this pattern is reproduced go to our: Running Board Reproduction Page. 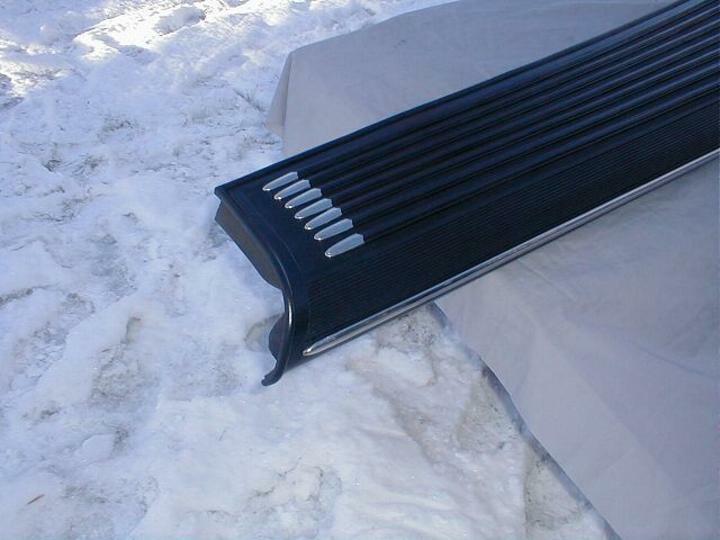 You will also see pictures of the 1936 Buick Century that this mat was installed on; with the customer's comment. Terry Jarvis, the owner of this vintage auto sent me this picture of his prize winning car. 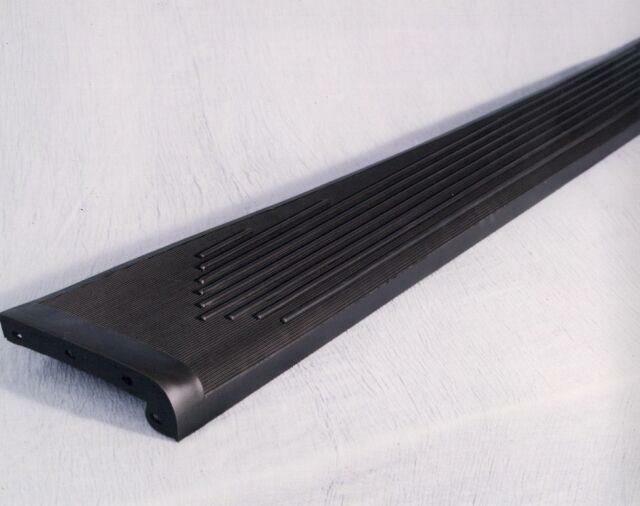 We reproduced the running board mats for it. His car was awarded second in it's class at Pebble Beach in August 2002. The 1937 Fargo half ton shown below is where my business began. I was asked by a local farmer if I would be interested in doing a complete frame up restoration of this truck. Bob's dad had bought this truck brand new in 1937, but only lived six months after he bought the truck. Bob wanted to restore the truck in memory of his dad. 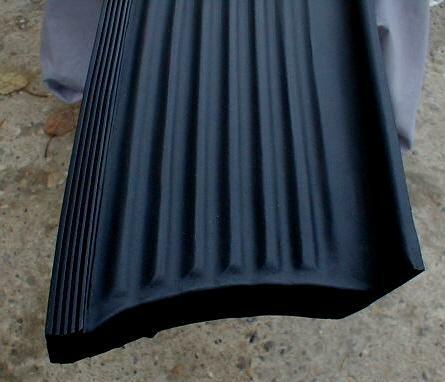 In looking for rubber parts for the truck I found that it was impossible to find the rubber parts. 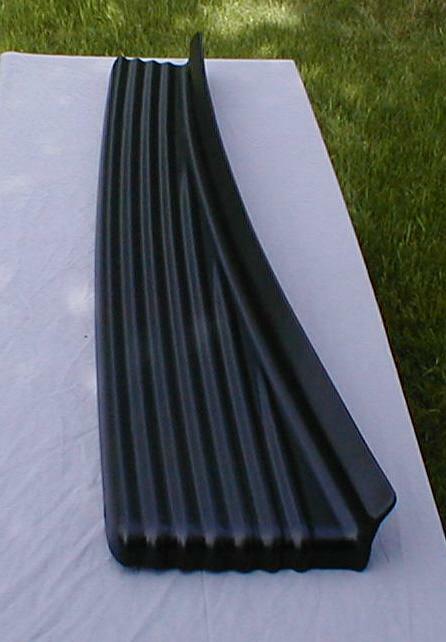 As a result I made or repaired all the original rubber parts, with the exception of the running board rubber mats which I reproduced. 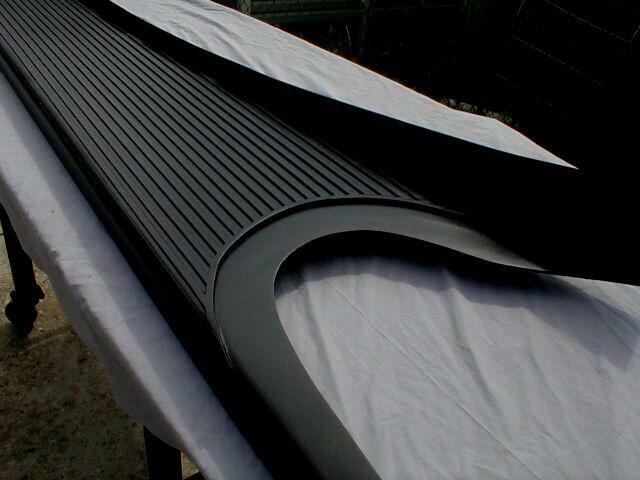 To do so I built a machine capable of reproducing all running board rubber mats. 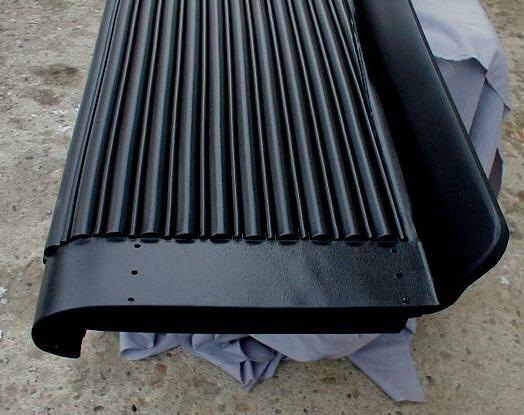 Since then we have reproduced over 500 sets of running board rubber mats with customers world-wide. 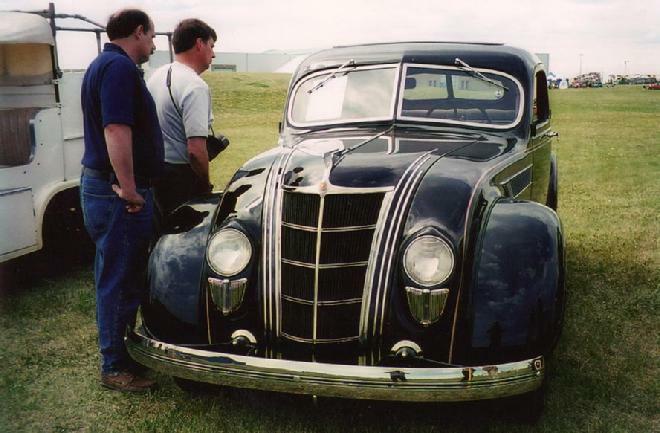 The 1935 Chrysler Airflow shown above is on permanent display at the Reynolds Alberta Museum. My understanding is that it was the first car to be designed in a wind tunnel. However this body style was far ahead of it's time, as a result sales were poor. Walter Marr was the chief engineer for David Buick. Mr. Marr decided to design and build his own car. 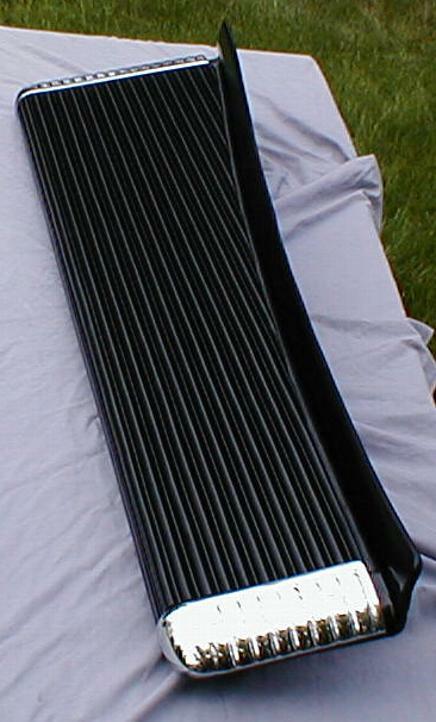 He manufactured a prototype and took it to a car show in New York. As a result he got an order for 100 cars. It was far ahead of it's time engineering wise. The 1903 Oldsmobile still had tillar bar steering. 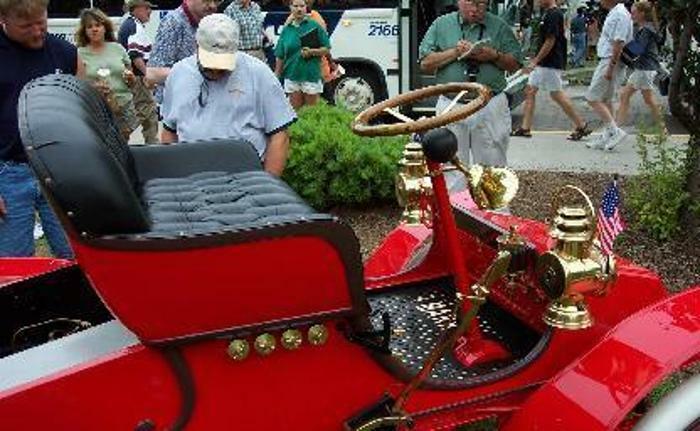 The 1903 Marr not only had a steering wheel it had a six position steering column. Tilt steering columns started appearing in the mid sixties as I remember it. It is also my understanding that it also had timkin roller bearings in the wheels, and had a top speed of 40 miles per hour. After building about 35 cars the factory burnt to the ground. Of the 35 cars built this is the only one in existence. The car was on permanent display in the Henry Ford Museum for over 50 years and nobody knew what is was. They thought the car was an early Ford model. A fellow visiting the museum told them that Ford did not built the car, but that it was a designed a built by Walter Marr. This gentleman purchased the car from the museum, and was able to fully restored the car with the exception of the floor mat. The present owner of the car seen it on display at Hershey and purchased it. 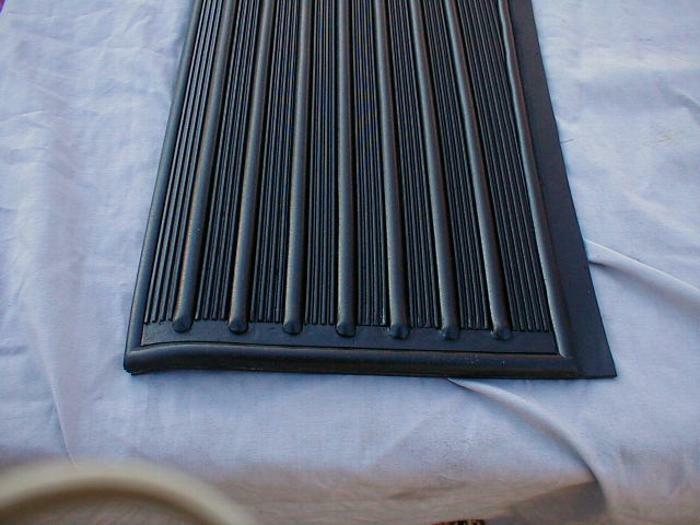 He asked me if I would be able to make a floor mat for the car by viewing an original factory picture of the mat. 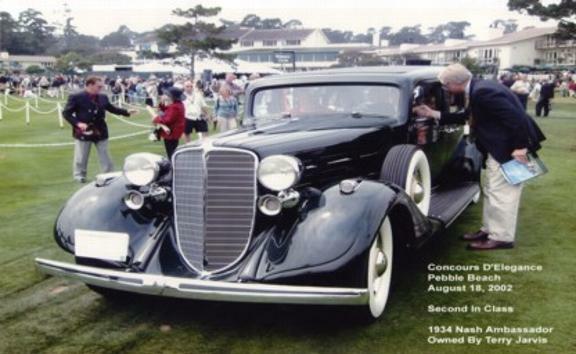 The La Salle was known as the poor man's Cadillac. 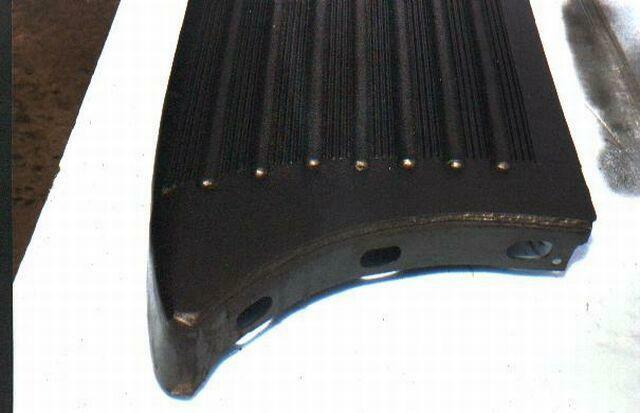 Cadillac used stainless steel end caps on their running board rubber mats for several years but La Salle did not, however the 1937 La Salle running board rubber mats had stainless end caps. 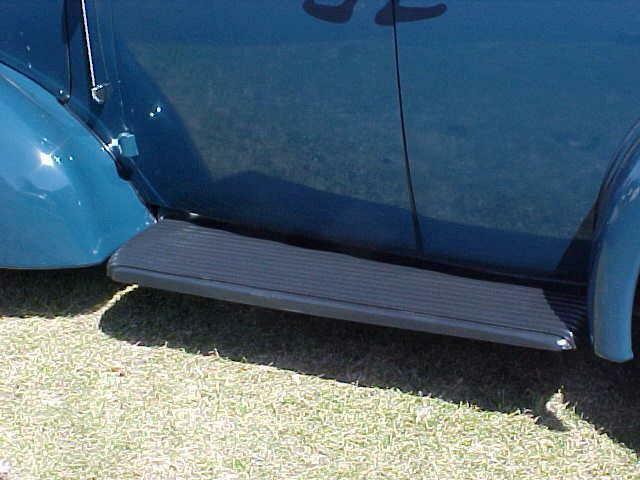 The 1940 Studebaker running board was extremely elegant. This complex pattern was tricky to reproduce. 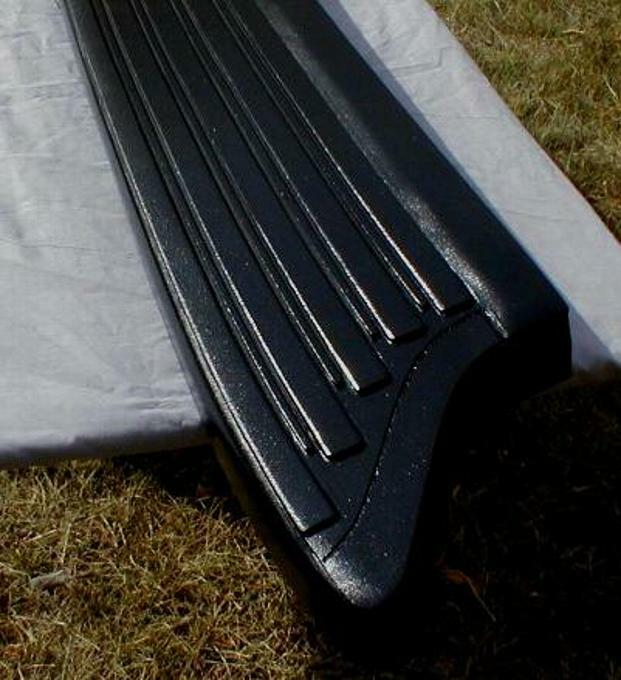 This 1941 Packard running board has the pattern pressed into the metal.